Port Renfrew, BC, Canada is located on the southern tip of Vancouver Island, west of Sooke, BC. The village referred to as “Jewel of the West Coast” is at the doorstep of the Port of San Juan and the famous West Coast Trail. Port Renfrew, BC, Canada is located on the southern tip of Vancouver Island, west of Sooke, BC. The village referred to as “Jewel of the West Coast” is at the doorstep of the Port of San Juan and the famous West Coast Trail. Activities most enjoyed in the Village of Port Renfrew and surrounding areas include hiking, backpacking, camping, beachcombing, whale & wildlife watching, swimming, boating, sailing, ocean kayaking, birding, storm watching, fishing, surfing, windsurfing, scuba diving, and canoeing. The best activity and adventure destinations located in Port Renfrew, British Columbia includes the West Trail Trail (WCT), Sombrio Beach, Lizard Lake, Fairy Lake, Pacific Rim National Park, French Beach, Botanical Beach Provincial Park, Juan de Fuca Provincial Park, China Beach, Avatar Grove, Carmanah Walbran Provincial Park and the Nitinat River Provincial Park. Some of the natural attractions, museums, art and cultural venues in Port Renfrew, British Columbia and the surrounding regions includes the Avatar Grove (Canada's Gnarliest Tree), San Juan Spruce (Canada's Largest Sitka Spruce Tree), Red Creek Fir (World's Largest Douglas Fir Tree), and the Pacific Marine Circle Route. What are the places to stay in Port Renfrew, BC? Places to stay include accommodations like motels, hotels, cottages, B&Bs (bed and Breakfasts), vacation homes, hostels and campgrounds. 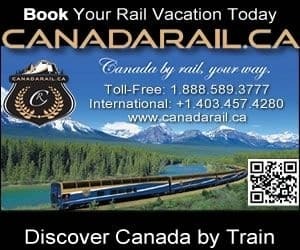 Important services and amenities for travelers when exploring in and around Port Renfrew, BC, Canada includes tours, guides, gas staion, general store, ATM, coffee shop, restaurants, pub, internet services and cell reception. Explore Port Renfrew, BC, Canada Travel Guide for Accommodations, Attractions and Adventure.